These are high times for cannabis producers. Cannabis is today’s fastest growing industry, expected to reach $24 billion by 2022. 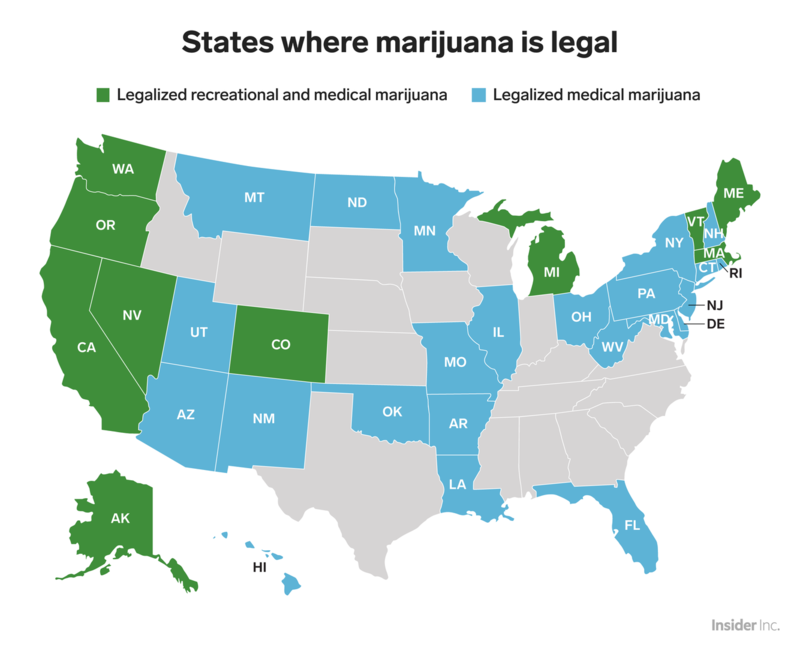 95% of the US population lives in a state with some form of legal cannabis. It’s pretty much game-over for pot prohibitionists. A recent poll by the Pew Research Center found that 62% of Americans said they supported legalizing marijuana, and according to IBIS World — by 2023 the number of marijuana growers is expected to increase to nearly 375,000 (up 15% per year) with the industry employing nearly 2 million people. As new commercial cannabis producers have flooded the market, medical marijuana dispensaries have benefitted from an aging US population coupled with an increased acceptance of the medical applications of marijuana. Additionally, the development of new ways to consume the product such as edibles and vaporizer pens should continue to attract new users who are averse to smoking. All of which is attracting BIG money to this industry. Given the number of Bay Area cannabis startups who are hiring right now, I decided to market this search as “Client Confidential.” However, this client’s business is first rate. My partner Allan and I receive 150+ calls a year from companies wanting our help with searches, and we only work with the best. I know that sounds salesy — but if our clients sucked, you wouldn’t apply. We get that. So basically, in every new client we’re looking for the SAME things any A-player would want in a new employer: A great role with company that has stable (or recurring) revenue; identifiable growth opportunities; sustainable margins; a smart operating model in a non-cyclical industry with significant barriers to entry. Easier said than done — but that’s exactly what this client offers. Remember how I said that by 2023 there will be 375K licensed cannabis growers? Well, there are more than 200K licensed growers today — all producing dozens of strains, called by dozens of names, all with varying degrees of taste and effect. Simply put: Cannabis is an EXTREMELY information intensive product category. Which makes it PERFECT for an online marketplace that crosses the best aspects of Craigslist, Yelp, and Amazon. Much better than straight retail, online marketplaces are amazing models that are expected to reinvent the $10 TRILLION service economy. Yes, that’s “trillion” with a T.
My client is fast emerging as a leading federally regulated ecommerce destination that connects cannabis consumers with licensed local dispensaries and delivery partners through leading edge technology, marketing and operations. The company benefits dispensaries by offering an easy, intuitive way to bring their crop to market while consumers get a safe and secure way to get their product from an approved, licensed grower. You’ll need to have an analytical bias towards these things and be able to assess each campaign’s ROI based on 1.) Digital Reach and Engagement, 2.) Sales and Marketing Impact, 3.) Loyalty and Advocacy, and 4.) Reputation and Brand. Because without a clear picture of what works and what doesn’t, you’ll just be wasting your time and my client’s money. PLUS: Thanks to a cannabis CMO search I closed last summer for a private equity firm, I’ve got a very pricey market research report that breaks down the cannabis industry’s strengths, weaknesses, opportunities, and threats. This recent 78-page report covers the entire vendor landscape and dissects the major drivers that influence market growth. It’s an atomic throwdown of statistical goodness. I’m happy to share this report with any candidate who makes it past their first round phone screen. Just ask me for it. Develop and maintain relationships in the industry to cultivate new opportunities; develop intimate knowledge of the best practices on marijuana marketplaces.